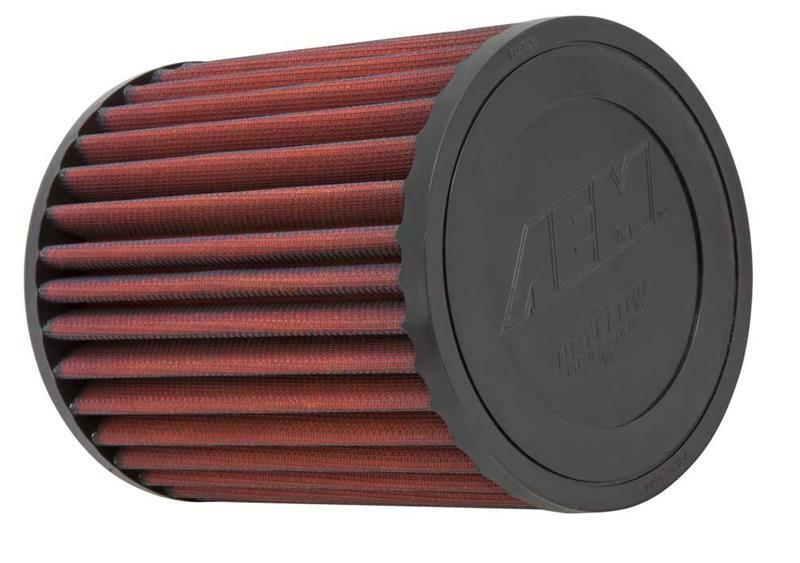 AEM has reinvented the Lifetime performance aftermarket air filter. Our DryFlow Synthetic filter is the first performance air filter that does not require filter oil to filter and trap dirt and contaminants, and delivers industry leading filtration and durability that is unmatched by our competitors. AEM’s DryFlow Synthetic filter eliminates the hassle of re-oiling after cleaning and has better filtration and dust trapping capabilities than any other performance aftermarket filter. Our unique non-woven polyester element filters out 98.6% of airborne dust in initial efficiency (99.4% cumulative efficiency), and filters down to ONE MICRON of particulate! For comparison, a human hair is about 100 microns thick. This improved efficiency translates into longer engine life by keeping more ring- and seal-eating dirt out of your engine, with no degradation in engine power compared to oiled air filters. It also means you won’t have warranty issues at the dealership because you never have to worry about over-oiling the element and having the filter oil damage your vehicle sensors. Our media is so durable that it can withstand almost unlimited cleanings without degrading filtration efficiency, and it’s easy to clean! The DryFlow synthetic media resists water absorption and since you never have to oil it cleaning time goes from about a day to about an hour. 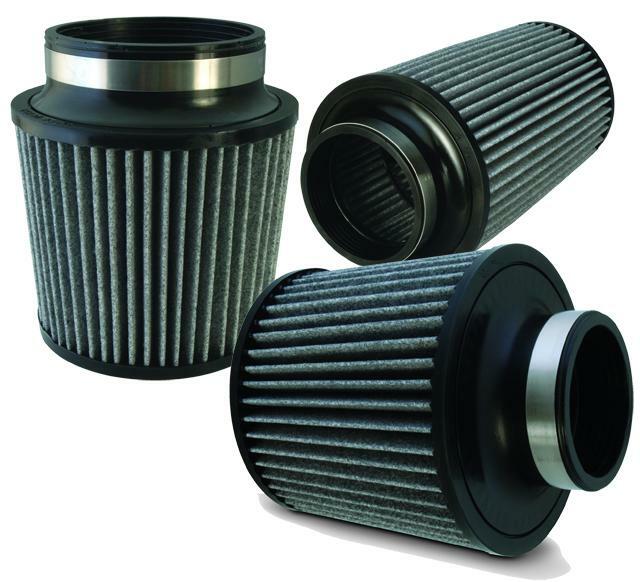 Because of the superior fine-dust filtering efficiency of the DryFlow Synthetic filter, it may require slightly more cleaning intervals depending on your driving conditions. 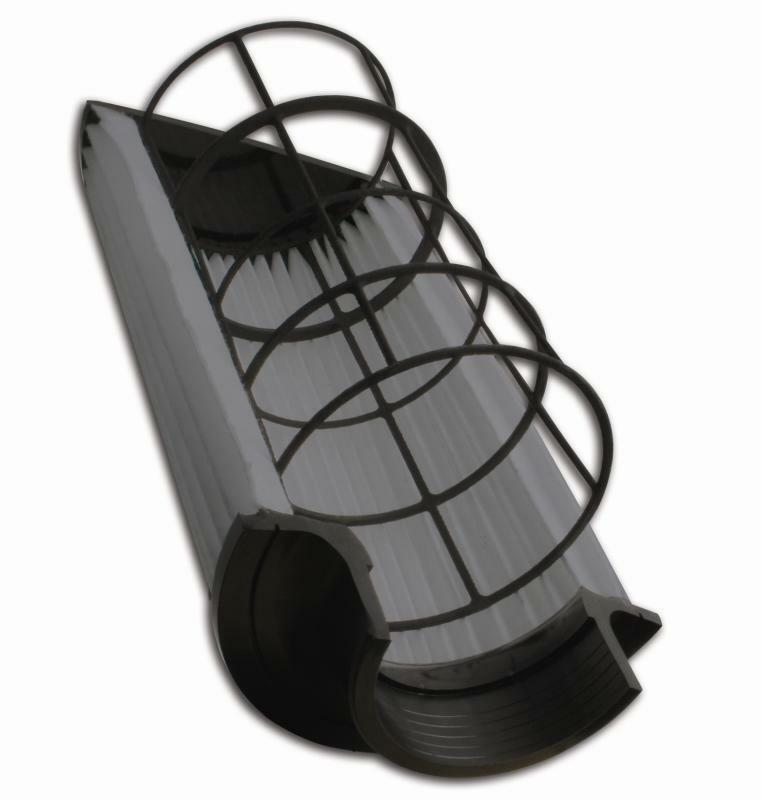 We reinforced the DryFlow filter element with a lightweight mineral-reinforced plastic cage that maintains the element’s structural integrity and eliminates the chance of the filter collapsing from flow demands, while also reducing the filter’s overall weight. Unlike cotton-gauze filters that use metal screened mesh to form the pleats, our DryFlow filter can withstand twisting and bumps, and still look and perform like new!